Thank you so much for the details! Awesome! I do not Have Disney However, there are several others that I have some thoughts about and your breakdown showed me the way! OMG - that is amazing - it "sounds" easy enough. 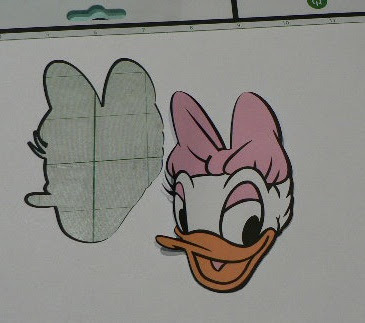 Can you also hide specific contours (I'm thinking of the other Disney carts where all the different cuts (of the same color) are together BUT don't really line-up with where they would go on the finished product. Thank you! Thank you! I am so excited now!! This is awesome!! I have been messing around with this but it was always hit and miss whether it would put the printed image. I will try your way. Thank you!!! THANK YOU!! This is awesome and I have been waiting what seems like forever to do this. Thank you for figuring it out and doing such a great job of explaining. Great instructions. Thanks so much for sharing. I can't wait to try this out. You have given me some inspiration to do more with my imagine. These are great instructions. Thanks for sharing. I just subscribed and am looking forward to many more great instructions and inspiration. Scraperdee, yes you can hide contours and it will still work. I had a sample of Pluto that I did just that but couldn't find it under the rubble on my desk to take a photo. I'll be doing another post later to show those steps. Thanks so much! I love the directions and will try it. Followed your directions and the only problem I had was when the imagine went to cut. It crashed. I still had the print out and brought out my trusty scissors. Has anyone else had problems with the transfer? It crashed once for me too! I restarted everything and it worked the next time I tried. Same question that scraperdee had. 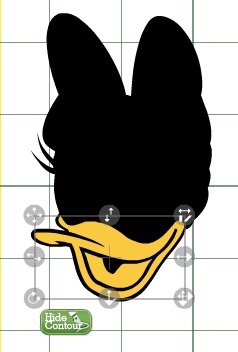 I tried this a couple of days ago with Hamm from Toy Story but got frustrated with all the layering when they don't line up. Thanks for sharing though. You gave me hope to go back and try some easier images! Thank you! I in awe of both your ability to figure this all out AND to be able to explain it all with such wonderful, easy to understand instructions. Thank you again! I can't thank you enough for this info... I have almost given up on my Imagine and quit looking to see if the CCR was up and running. Thanks so much. I'll have to check this out after we get home from church. That is amazing!! Thank you so much for your clear instructions! I can't wait to get started!! OMG.....you are the best. I have been wanting to do this for......before I got my "I" Life is so much easier. Awesome! I have been trying to figure this out with the tinkerbell cart. Thanks so much! I am subscribed to your blog now. You are the most amazing person!!! Well done. Thanks for working it out and then sharing all your hard work. Wow! This is awesome, and your tutorial is SO helpful! I will definitely be trying this. Thank you!!! OMG YOU ROCK!!!! !Thanks for the info...I will have to try this. This is what I have been waiting for! This is why I bought the Imagine. Up until now I have been a little disappointed with my purchase and wondered why I ever bothered. Now I can't wait for September! To finally be able to do what I bought the machine for is very exciting. Thank you so much for figuring this out and for sharing it with us! Holy moly! You are a genius! Thank you for taking the time to share. this makes me want an imagine. No more glueing little pieces would be great for these carts!! Thank you soooooo much for explaining this! I am a new follower! Thank you so much for this tutorial. I would have never figured this out by myself. Will give it a try very soon. Just afew questions. Other than testing why does the base layer need to be de-selected? 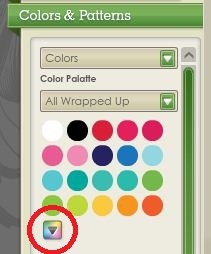 Did you re-group or just re-align the layered pieces over the base layer? Seems like they should be all re-grouped. Why am i not understanding this? I am yet not one of the lucky ones to get to play with CCR. Hopefully soon. I tried it. and Wow this is great. Thanks so much for figuring this out. I would have never had the time or patience. Now I just have to figure out why it didn't cut. Thanks again- you made all the Disney cartridges so much more user friendly. You don't regroup the the bottom layer - just re-align it. If you group it in with the other layers your project won't cut. Not sure why this is happening but I do know that it's one of the things that CCR are looking at thanks to the feedback they have received from the CCR beta testers. Gayle: Make sure you haven't grouped your bottom layer in with the rest of the layers. To test - you should be able to move it out from under the other layers if it's not grouped. It's on my To Do list Renee! Ok... sounds easy. But with the latest updates... does it still work? Unfortunately Angie, build 59 stopped this working. And build 60 didn't fix the problem either. Fingers crossed they'll undo whatever they did that caused the problem. Is the layer welding problem resolved. I tried to do this last week and all layers cut out despite trying everything. Unfortunately not. PC has stated that the reason that this was working in the first place is because of a bug. Whether they'll add this as a feature at some point is unknown. Thank you so much for sharing, i have just started to use the imagine and stopped using it cause i was finding it too difficult to get my sizing right, thank you for the help.